Does your home’s roof have hail damage, normal wear and tear, loose or missing shingles, a flat roof, or cedar shakes? Are you building a new home, or do you just need a change in your home’s appearance? 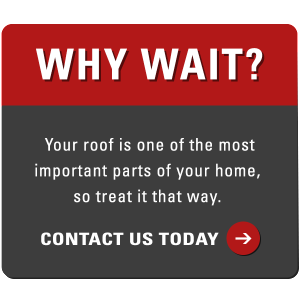 You can trust Why Wait Roofing LLC to offer professional services to your home or multi-unit dwelling. 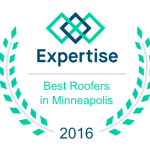 Our installers are certified Master Applicators and our continuing education programs ensure that Why Wait Roofing LLC stays informed of the latest industry standards, installation techniques, and new roofing products. We can now offer a 50-year non-prorated warrantee on any CertainTeed Lifetime Shingles. We offer a 10-year guarantee on any workmanship done to your home. We also install other brands of roofing products such as GAF/ELK, Owens Corning, cedar shakes, or composite slate tiles. Why Wait Roofing LLC is a CertainTeed Select Shingle Master company. Contact Why Wait Roofing LLC today for a free quote on your installation, repair, or roofing design. When it comes to your home’s siding, maintenance, overall appearance, and quality products are the main concerns you will have as a customer. Why Wait Roofing LLC can professionally install a variety of siding products on your home, ensuring that you and your guests will be impressed and pleased with the change in your home’s appearance. We deal with a variety of brand names such as HardiPlank, CertainTeed, Alside, Norandex, Rollex, and EDCO Products. This allows us to offer you wider options and colors in vinyl, aluminum, steel or cement fiberboard siding. We also install soffit and fascia material. Make your home beautiful and the envy of the neighborhood with new siding installed by Why Wait Roofing LLC. We’re waiting patiently for your call or email on a free quote. As we Minnesotan’s know, ice dams are part of the long cold Minnesota winters. With years of damaging ice dams, hail damage, and just good old plain Minnesota weather, your homes gutters are easy targets for wear and tear, we can fix that. Why Wait Roofing is also able to offer the service of required gutter repair by your insurance company. We carry 3 x 4 inch downspouts to ensure the proper drainage from your roof and away from your home to eliminate the potential for flooding in your basement from high powered rainstorms and spring thaws. Prevention and maintenance is imperative to keep large repairs and replacement to a minimum. Contact Why Wait Roofing today for quality gutter installation and repair.